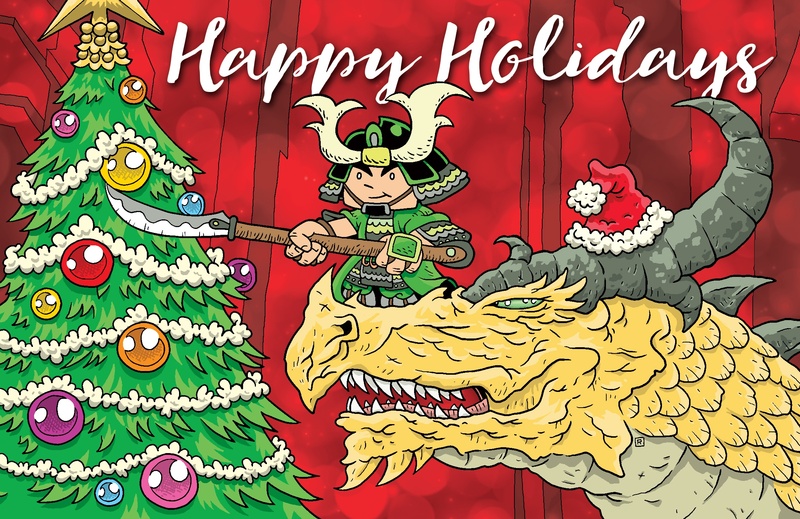 Happy Holidays From Green Ronin! It’s that time of year once again, when all of us at Green Ronin take a break to spend time with our families, friends, and pets (not necessarily in that order). We will be busy sleeping in, cooking, playing games, reading books, streaming shows, and making music, and maybe one or two of us might even try going outside! We sincerely wish you all the best in everything. Green Ronin will be closed for the holidays until January 2nd. We will see you in 2018, after our personal batteries recharge. https://greenronin.com/wp-content/uploads/2017/12/GR_holiday_2017_THM.jpg 128 128 Evan Sass //greenronin.com/wp-content/uploads/2017/07/RoninBanner-1.png Evan Sass2017-12-22 20:02:532017-12-22 20:22:43Happy Holidays From Green Ronin!